Retiring Early: Is it The Best Option? Retirement is the dream for most working Canadians. The day when you no longer have to wake up early to sit in traffic and deal with stressful people and workloads is the day when you’ll be blissfully content. For many, retirement can’t come soon enough. And some people even choose to retire earlier than the typical retirement age in Canada. These people usually have the financial means to retire early and have planned for early retirement. However, some people retire earlier than planned, while others put off retirement until much later. As tempting as early retirement might be, it isn’t always all it’s cracked up to be. There are a number of factors that can make early retirement less enjoyable. But there are also alternatives to early retirement and ways to prepare, so once you do retire, retirement living will be all it’s cracked up to be. 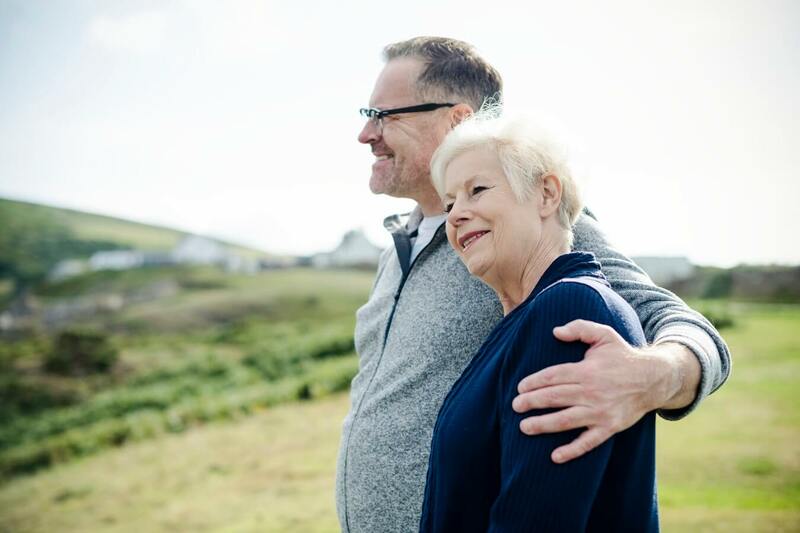 Here’s a look at the advantages and disadvantages of early retirement, along with things you can do to prepare yourself for retirement, whether you decide to retire early or not. Retirement frees up your time so you can spend more time focusing on your health, sleeping better, eating well, and staying active. You’ll also have more time to visit a doctor the moment a health issue comes up, instead of putting it off until your schedule is less busy. Retirement reduces stress levels since there are no more deadlines and demands of work. Too much stress can lead to hypertension—chronic high blood pressure—which can lead to serious health issues such as stroke and cardiovascular diseases. Believe it or not, early retirement is not always as blissful as you might imagine. It can actually lead to a number of mental health problems if you’re not careful. You can only shop, read, watch TV, clean, and organize your home so much. After the joy of retirement has faded and you’re left with nothing to do but the same things, day after day, you could become bored and restless with life if you’re not doing something that inspires and challenges you. This lack of direction can cause retirees to feel a loss of purpose in life and lead to depression and midlife crises. Some retirees wind up feeling guilty. This usually stems from a misconception that they’re not living life to the fullest. They are guilt-ridden for feeling down about retirement. And others may also make them feel guilty for retiring early, possibly out of envy. Judgment from others leads to embarrassment about being retired. And if one spouse is still working while the other is retired, this can lead to guilt about financial stress. If your spouse is still working, they may not see the urgency to budget and save as much money as you need to. As a result, you might stress out about their spending habits. With retirement comes the risk for social isolation. Since you won’t be going to work every day, you will no longer interact with your coworkers regularly. And while all your friends and possibly your spouse are still working, who are you going to spend time with each day? Long-term social isolation can lead to mental health issues and cognitive decline, so retirees must plan ahead to ensure they still get out and socialize on a regular basis. Although early retirement can have its drawbacks, you don’t need to work until you’re 70! If you plan ahead for how you’ll transition into retirement and address the issues that come up in retirement, you can avoid the problems mentioned above and have a fulfilling retirement. If you need to keep working, that’s okay! Working can keep your mind and body active, and prevent social isolation. It can also give you a sense of purpose, improve your heart health, and reduce your risk of dementia. So it’s important to find a middle ground. Ease into retirement over several months—work three, then two days a week. This transition can help you build up a new routine and take on new activities to enjoy in retirement, instead of experiencing the stark contrast of working full-time to having nothing to do. Volunteering in your community helps ease the transition out of full-time work and into retirement. Beyond the sense of purpose and direction volunteering creates, it also gives you an opportunity to expand your social circle. Volunteering lets you meet new friends and faces, a must for avoiding social isolation. Plus, volunteering helps you fill the gap left in your days by your full-time job. Volunteering is a great way to transition out of the career wind-down phase and into full retirement. Following a routine helps in retirement, providing structure for each day instead of feeling aimless and having no sense of purpose or direction. When you do retire, you can still stimulate your cognitive development with learning new skills, such as a new language, technology, craft, trade, or instrument. Or, better yet, find a job that won’t stress you out in retirement and work part-time. It’s not uncommon for retirees to take up a new career in retirement. This new path allows you to follow your passion that you probably didn’t have the time for in your working life. Take the time to find meaningful, fulfilling work—it could be a hobby, a project, or a new job that you’ve always wanted to work on. Or it could be volunteer work for a special cause. You can try new things until you find something you enjoy. Your retirement can be all it’s cracked up to be if you prepare for it. So don’t rush to retire early if you’re not ready. And remember the potential drawbacks of retiring early when deciding whether to retire now or put off retirement until a bit later. We are a locally owned and operated retirement community that provides quality care through our dedicated and professional staff to all our residents. Our objective is to create a comfortable family-oriented community that provides an easy transition to retirement and assisted living.